Scott Smith, one of POLICE Magazine weapons reviewers, got his hands on the DPMS/Panther Arms LRT-SASS gas-powered, rotating-bolt rifle. He was impressed. With the military demand for a rifle to meet its needs several manufacturers redesigned the AR-15 to serve as the basis for a tactical rifle. DPMS/Panther Arms' offering for this market is the LRT-SASS. Simply put, the LRT-SASS is an AR-15 on steroids. It is larger in size, larger in caliber, and heavier in weight. The LRT-SASS I used for this review arrived in a padded "gun case" with the owner's manuals, two 19-round magazines, one LRT with four position handguards with covers, Mangonel front/rear flip-up sights, a sling, and a Harris bipod—all in all, a ready-to-use package. The one thing I noticed with the LRT was the heft of the package. The LRT-SASS tips the scales at 11.45 pounds, nearly double the weight of an M-16/AR-15 series rifle. This extra weight helps take the recoil and increases the life of the rifle. 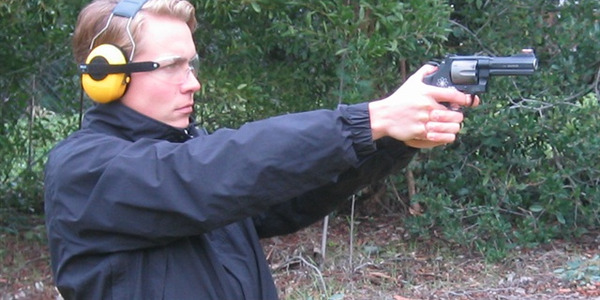 Read Smith's full Arsenal review of the tactical rifle. Scott Smith served as an active-duty Army MP and in the U.S. Air Force Reserve and Air National Guard as a security policeman. He serves as a federal police officer for the Department of Veterans’ Affairs. POLICE Readers Overwhelmingly Support Right to Bear "Assault Weapons"
Slightly more than 50% of respondents in our survey said 18-year-olds should be legally permitted to buy firearms. 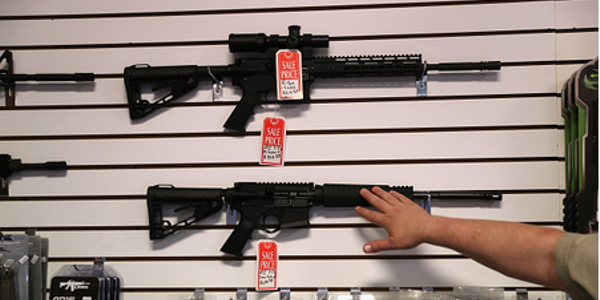 About 42% of respondents would like to see 21 as the minimum age for firearm purchase. "I got involved in wound ballistics and what it really took to stop a threat during residency in Philadelphia because I had a friend on the police force who lost his job for use of excessive force by shooting somebody, I think it was, 18 times, and I always thought, maybe he needed to shoot that person 18 times to stop the threat." Industry Day at the Range has grown by leaps and bounds since its inception last decade. 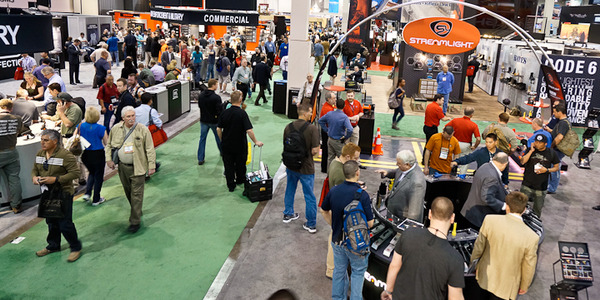 The event has become something of a SHOT Show in miniature. Yesterday’s Industry Day involved more than 100 exhibitors of rifles, pistols, shotguns, gear, apparel, and even archery equipment. During the course of the 3-hour run of scenarios in their “town”, I found the appendix style to work very well. I consistently outdrew my competitors and teammates from the seated position and even seemed to be faster than usual in the standing scenarios. 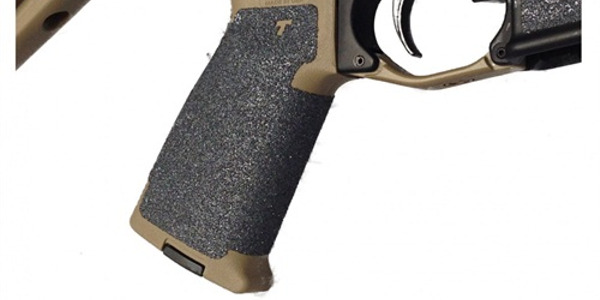 It doesn’t seem to be a “year of the gun” but more of a “year of the gun stuff,” as many of the firearms manufacturers seem to be circling the wagons a bit and simply giving some of their biggest hitters a facelift. That isn’t to say there aren't a few standouts, though. The biggest challenge for me was to narrow down those firearms and products that are applicable to law enforcement and try to keep my eye from wandering to those I think would just plain be fun to shoot! After some trial and error, the company's founder began producing laser-cut grip panels that not only fit perfectly but also provide a fantastic grip surface that is impervious to grease and sweat. One of my biggest frustrations is the sound intrusion that occurs because of my sunglasses when wearing earmuffs. 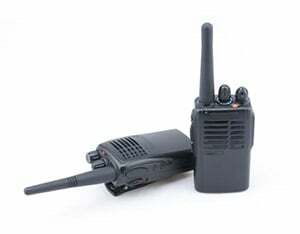 FullPro Protective Gear has a solution called Sound Vision that eliminates this annoying problem completely. 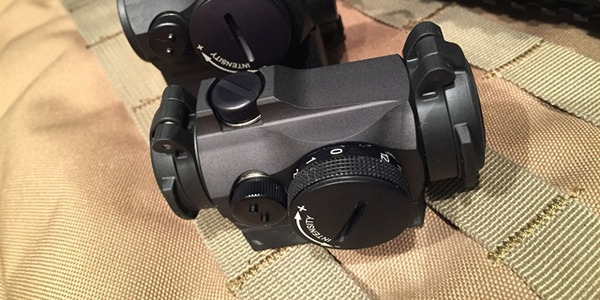 With its Micro T-2, Aimpoint has taken a proven winner and made it even better by adding flip-up lens caps, increased protection for the windage and elevation turrets, and a new lens coating to enhance clarity. Warrior Tech, LLC took the chamber flag concept and improved upon it greatly. 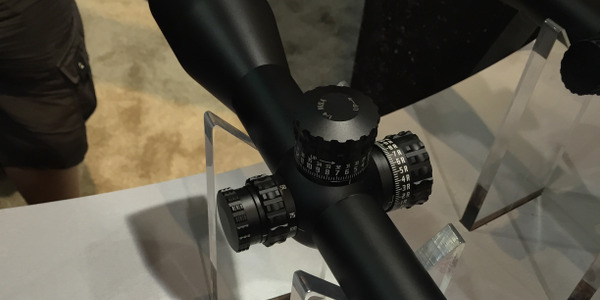 The company's new SafeCycle chamber verification device is similar to a chamber plug in that it provides quick and accurate visual confirmation that the rifle's chamber is empty, but goes above and beyond that in a few ways. 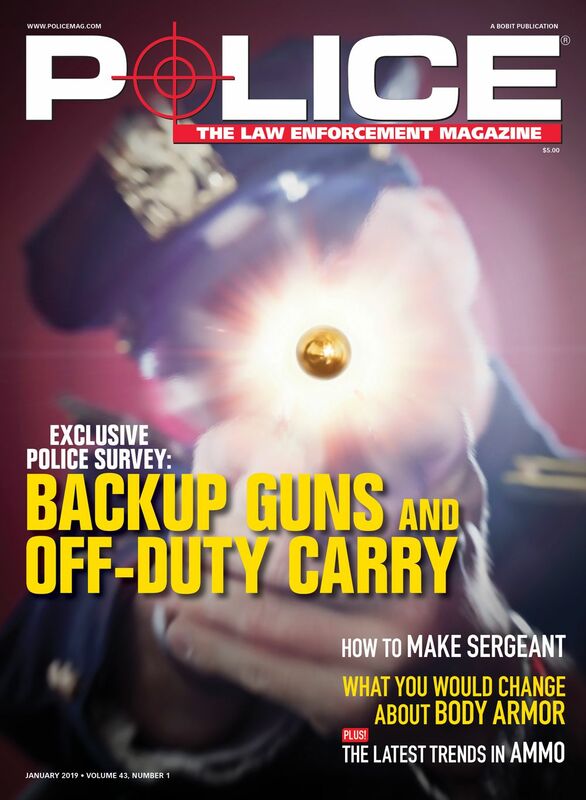 PoliceMag.com asked Sgt. A.J. 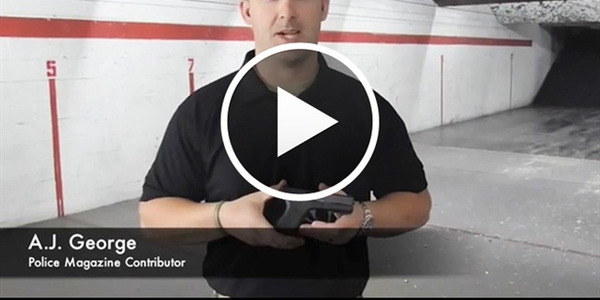 George of the Scottsdale (Ariz.) Police Department to give us his thoughts on Glock's new G42 .380 pocket pistol. 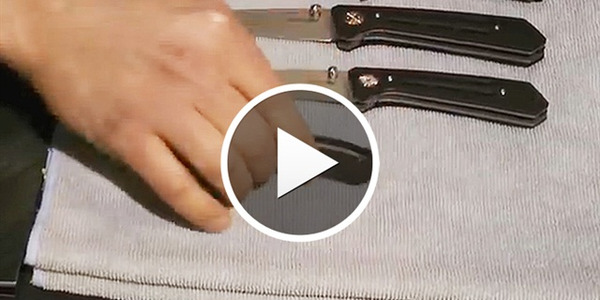 In this video, Rexford and Kershaw's Jim McNair discuss the features of the knives, the material used, and their fit and finish. 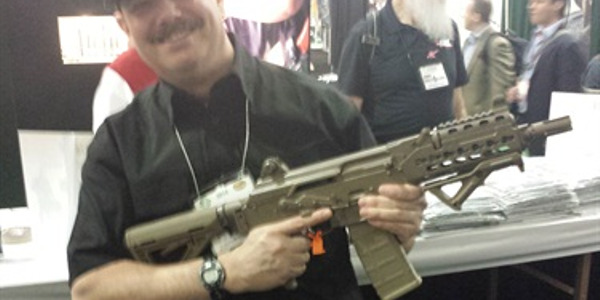 We've compiled Police Magazine's take on of some of the products we found at the 2014 SHOT Show. Where else than an exhibition for hunting and law enforcement firearms are you going to see t-shirts asking, "Have You Hugged Your Colt Today? ", exhorting you to "Buy A Gun—Annoy a Liberal,” or celebrating diversity in the form of a collage of Smith & Wessons, Glocks, and Kimbers? Hey, it gives me the warm fuzzies. I don't understand the prohibitive nature of no firearms at SHOT Show, particularly since its demographic is represented by quite a few cops and military personnel.